In the cheese and specialty food industry, In Demand Cheese is a force to be reckoned with. We bring to the table the skills, expertise, and experience necessary to help you put your products on the market. We offer outstanding consulting and marketing services so you can enjoy improved sales of your cheese and other goods. Partner with us today and let’s start planning a customized marketing strategy for you! Tim Gaddis started In Demand Cheese in 2017. Tim has been in the cheese and specialty food industry since 2003. 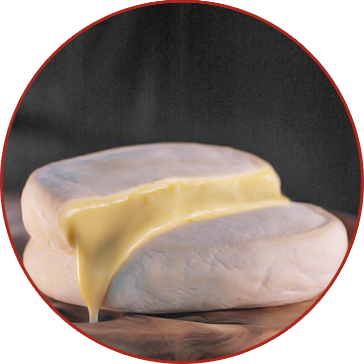 He began his cheese career at Murray’s Cheese in New York City while attending The French Culinary Institute. It was at Murray’s that Tim fell in love with artisan cheeses. Tim then took over the cheese counter at Star Provisions in Atlanta, GA, and managed the cheese counter and the Bacchanalia cheese board until 2014. In 2014, he took a position with Many Fold Farm as the sales and affinage manager. During his 14 years in the industry, Tim has developed close relationships with many cheese producers and buyers around the country. It became apparent that many of the best artisan cheesemakers in the U.S. did not have the resources to pay a full-time sales representative nor did they have the time to go out and sell their products themselves. It was with this realization that In Demand Cheese was born. To read more about Tim Gaddis and his journey towards becoming a renowned cheesemonger, click here. At In Demand Cheese, your success and satisfaction matter immensely to us. This is why we strive to come up with effective sales and marketing plans for you. Many of the cheese producers we have worked with can attest to our superb assistance and customer service. Get in touch with us today and share your business goals with us! The milk flow never stops and neither do we.